Lots of ladies have been asking what I do for exercise during pregnancy. Unfortunately for me I haven’t been able to train for the last 8 weeks due to my illness. What I have been doing is stretching, yoga, hip stabilising exercises and focusing on my pelvic floor strength from home when I feel up to it. During the first trimester your body goes through massive hormonal changes and you can already feel & see them impacting your physical state. Your tummy & hips may feel or look soft which is normal as the hormone relaxin starts to soften you and will continue to throughout pregnancy. You may feel more flexible or unstable in your joints which is also from the relaxin, you may be carrying extra fluid and you may have noticed some aches and pains already particularly in your back and hips as your body begins to change to prepare for pregnancy and birth. 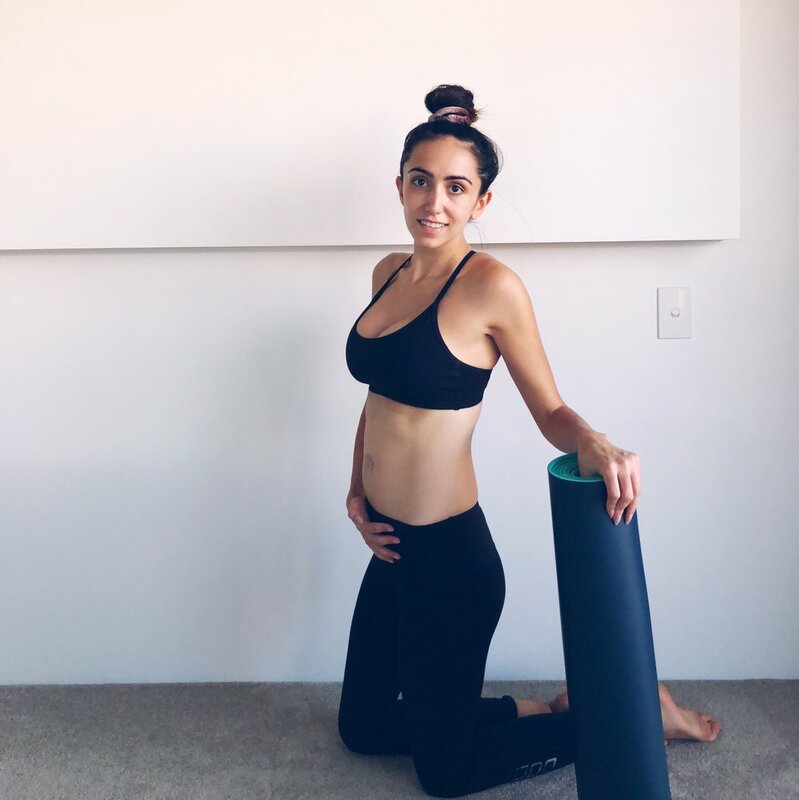 During this early stage it’s important to start laying foundations for the rest of your pregnancy and start working on keeping your posture , hips and pelvic floor strong. Don’t put too much pressure on yourself to smash your body or even continue with your normal exercise regime - listen to your self and your body and engage with an expert in pregnancy fitness to guide you through the journey. - Start working on strengthening your back muscles to help your posture. Some light - moderate resistance exercises for the back are great. Any questions about first trimester exercise please contact me via Instagram. Up next month will be 2nd Trimester guidelines and advise. Hopefully Ill be feeling up to doing some exercise - fingers crossed.